What if we tried to create a meal exclusively from food discarded by supermarkets? And so, “dumpster diving” we went. The result was a fun and enlightening experience of hunting for food and creating an impromptu dinner together only based on what we found. As it turns out: “dumpster diving” when done in the Nordics, and particularly in January’s quasi-refrigerated temperatures, is much too negative of a term to describe the plethora of perfectly fine food we found, simply thrown away. Per capita food waste in Europe is around 95-115kg per person per year according to FAO (UN’s Food and Agriculture Organization), so there is plenty to find. Our dinner began with a cheese board complete with delicious pesto and organic mozzarella, found its high-point in an Asian-inspired vegetable stir fry, ended with your classic Danish “apple crunch” pie, and even a couple (read: six!) boxes of “flødeboller” as a post-dessert-dessert. The food was tasty and it proved to be a great teambuilding exercise (every one participated in the “diving”) for a small team with a certain predisposition for experiments! For those wondering: no one ended up with food poisoning and we’re all as healthy and alive as before. 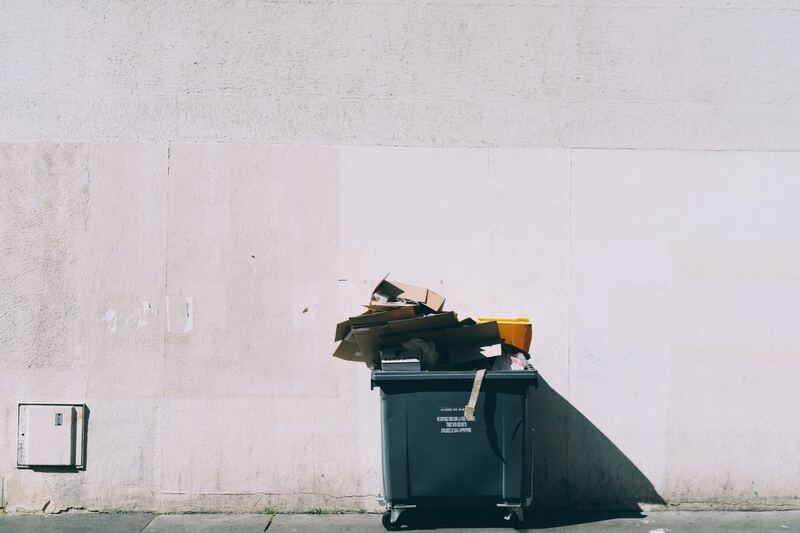 To many of our existing and potential clients, going dumpster diving might clash with the expectation of a high-quality consultancy firm of dedicated professionals. Without intending to elevate a simple Christmas dinner to a larger advocacy case, this nevertheless raises the bigger question for us of what degree of activism we can bring into our daily work. Can we engage in wider grass-roots activities without undermining the image of a top consultancy firm that provides neutral, independent advice? This is the bread and butter of any consulting firm and do we dare risk this image? However, given the scale of transformation and behavioural change needed to face global challenges, are we not morally required to be pushing the envelope as much as we can? On the other hand, how do we ensure that we are not alienating those companies and people who are perhaps slightly less progressive in their thinking on climate change – those with whom we could arguably create the biggest difference by joining forces? Would our degree of commitment disqualify us in some clients’ eyes from being competent partners? In the end, while we know we need to strike a balance, we hope that by trying to challenge the status quo in different ways, we can be part of a larger societal shift towards sustainabilty. We hope to inspire others to find ways for themselves to make more sustainable decisions. Finally, we trust that the passion we bring to our work is interpreted in the right way: That it will drive us to do the best possible work we can to help our clients. Traditionally, activism and professionalism have been juxtaposed. In a world where we are irreversibly damaging the environment every single day, we believe it’s time to dissolve that distinction. By intertwining the two, we believe that we are able to contribute more meaningfully to our overall agenda: averting the climate crisis that society is currently heading towards. Professionalism as a consultant means facilitating balanced decision-making based on facts. And those facts? They’re telling us that to help our clients, we need to consider the greater good. If that means adding a little activism to our professionalism, we’re okay with that. Stay tuned for more information on our internal sustainability accountability work in Q1 2019!